We are convinced that sleep issues are one of the biggest problems to tackle in the 21st century. It's also a personal motivation as both founders have spent hours staring at the ceiling trying to fall asleep and we know how painful and frustrating it is to know that it impacts your day as much as your night. We are passionate about making sleep better for millions of people! Sleep issues are a huge problem for a lot of people: 70% of adults complain about their sleep quality. 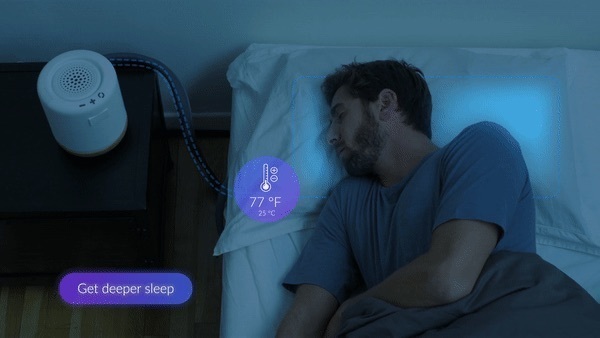 There are existing solutions that aim to improve sleep: apart from sleeping pills, technology products such as trackers, light and sound aids help you understand your sleep, fall asleep or wake up better. We are building the first smart product that regulates head temperature in order to improve sleep all night long.